NailPolishCanada.com has been one of my favourite online destinations to find the most coveted supplies for makeup and manicures available in Canada. I feel very lucky that they have sent me a few complementary products to review over the past few months, (see my Baby Foot review here) and Glam My Mani Nail Vinyls are one of them. I received the Aztec Designs and the Fish Scales to incorporate into my weekly mani routine. The first time I tried to use these nail vinyls, I didn't wait long enough for the base colour to dry. 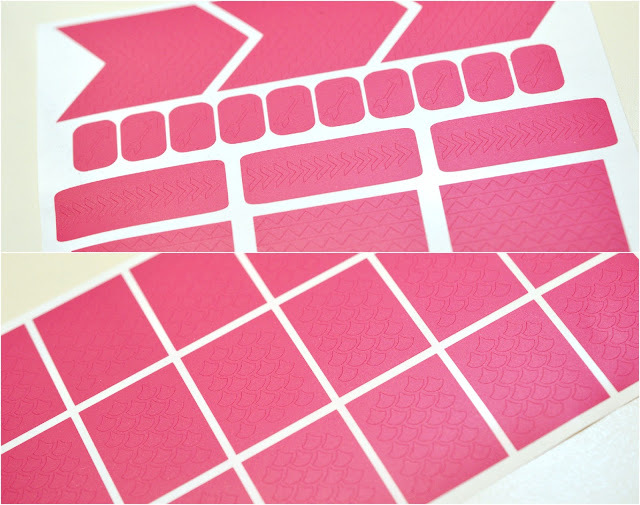 Since these are essentially high quality stickers, they pulled up parts of the light blue polish. Clean the nails with alcohol, then apply base coat, base colour, and WAIT! Even for a few days. Firmly apply the vinyls, remove any centre bits, then paint over the nail and remove. So the second time, I tried to create a "negative space" manicure, and only applied one coat of my OPI Nail Envy Matte as my base. I followed up with only one coat of China Glaze's Heli-Yum polish, after applying the stencils. It's a bit difficult to apply top coat over any detailed manicure, so make sure to leave lots of drying time and be very gentle. Get a generous amount of top coat on your brush, and try not to let the bristles drag across the coloured polish underneath. You'll get the right technique with practice. My favourite top coat right now is the "Out the Door" top coat from INM. For the final mani I tried using the nail vinyls, I left a few days in-between applying the base coat of light purple, and the top coat of burgundy. I did two separate designs, which you can see the prep for below. Note the needle nose tweezers - these work sooooo well for peeling off the vinyls and removing any bits that may get stuck on the nails. I got the idea for the cool pixilated Aztec design on the left from the Glam My Mani Instagram page, reposted from @iluvnails08. Clearly I couldn't think of such a clever design on my own, and I am obsessed with how it turned out using these cool autumn tones. I'll definitely try the little crown design again since this Aztec pack came with so many triangle strips. 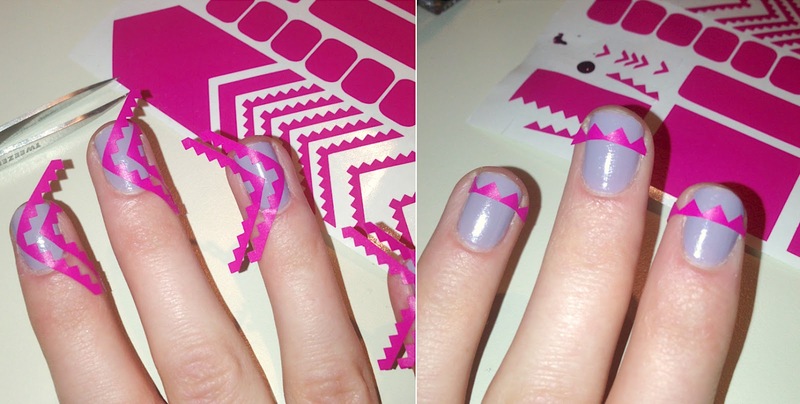 Overall, these nail decals are awesome. 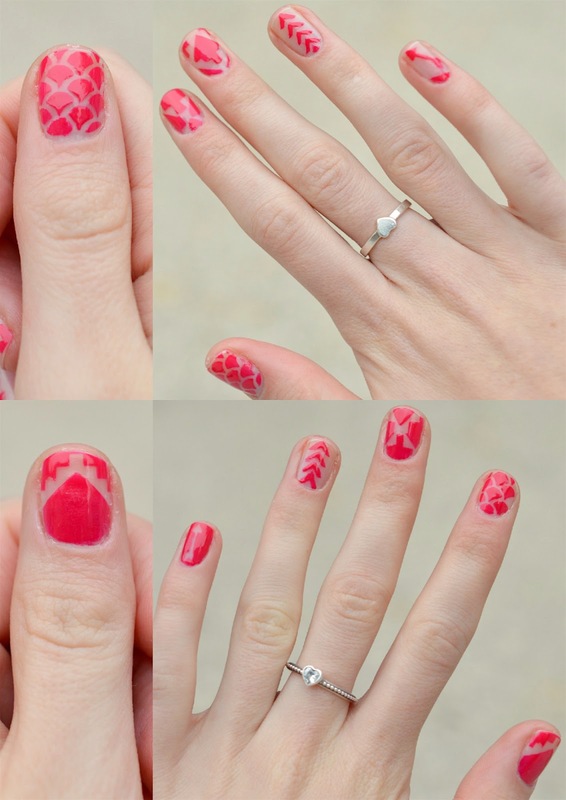 For only a few bucks, you can create some super professional mani designs. Though they do come with their challenges (wait time, delicate top coat application, a bit of cleanup) you'll be a pro in no time.